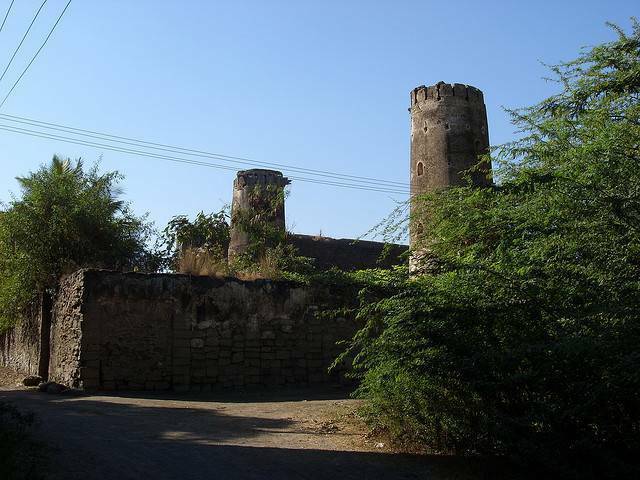 One of the distinct portions of Bijapur city, Citadel was established by Yusuf Adil Shah in 1566. Inside the citadel there are many remains of Hindu temples, palaces etc. The Citadel is surrounded by 30-50 ft high wall which has 10 gates for the entry into the Citadel. Each gate is of 25 ft in width. In earlier days, this citadel was used by the Bijapur Kings, to defy the intrusion of their enemies. Also outside the Citadel wall, there are 100 yard wide ditch which surrounds the citadel. This ditch was once a good source of water whereas now it is just a turbid pool. The walls are ornamented with 96 munitions, each of different patterns. Even though tourists can come across remains of the historical monuments inside the Citadel, the place is a prime tourist attraction of Bijapur.